I’m referencing one of the weakest entries in the Star Trek movie franchise, ‘Star Trek: Generations.” It was the first with the Next Generation crew, Captain Jean-Luc Picard (or Professor Charles Xavier if you’re more X-Men inclined. Or Sejanus, if you prefer “I, Claudius.” I think it’s the Latin for “Jean-Luc Picard with hair.”). The crew is chasing down Malcolm McDowell who is chasing something called “The Nexus.” Captain Picard ask Guinan (Whoopi Goldberg. I LIKE the Whoop. She gave me a lovely response to a fan letter) about this Nexus thing. Guinan explains that it’s an energy ribbon that allows those who enter to experience whatever they desire for as long as they desire. “It’s like living in pure joy,” she says. We have the means of entering our own Nexus. Doing that thing or experience that puts you in joy and leaves you there. I had such an experience in 2000 (which helped me fuel the drive to write These Foolish Things . I got to meet my favorite movie star, George Clooney, and I made him laugh. I walked on clouds for months afterwards and it wasn’t just “I met him” (hubba hubba) but “I made that happen” that was fueling the joy. I had been told “You are never going to meet him, you know.” However, when “The Perfect Storm” was released, there was a benefit in Gloucester (movie being shown at the Liberty Tree Mall in Danvers, MA. I used to work at the old 2 screen theater there), I bought a ticket and went. So,I found a way into the Nexus. Yesterday, July 7, 2013, These Foolish Things was offered for free as a Kindle download on Amazon as a promotion. I wrote the book 12 years ago and encountered resistance from the traditional publishing houses and literary agents. The delay in getting published felt like the “You’ll never meet him” comments from well-meaning friends. The free offer could have gone nowhere. A couple of weeks ago, I figured “Why not?” and went to an Aston Martin dealer (this is Orange County, CA. There are multiple Aston Martin dealers). Yes, I love James Bond movies and yes, I fell in love with his car (not much wrong with Daniel Craig, either. Or Pierce Brosnan or Timothy Dalton or younger Sean Connery. Roger Moore didn’t do it for me). 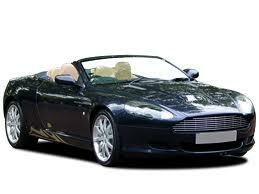 My current dream car is a convertible DB9 in dark blue. I asked the salesman about insurance, maintenance, gas guzzler taxes, delivery, etc. No test drive (he’s on commission, his time is his money and I didn’t want to waste his time) but he let me sit in the driver’s seat and START THE CAR to lower the roof. I am still giddy just remembering it. I ran my hands over that car like it was the finest silk or marble or I don’t know what. I’m still feeling the joy from that experience. I made it happen; I was sitting in a brand-new DB9 convertible (not dark blue, but that’s okay). Into the Nexus. In 24 hours, 669 people downloaded These Foolish Things. When I woke up, it was ranked 1136 on the Amazon rankings (free stuff). At midnight, it was # 417. But wait, there’s more: Reviews appeared on both Amazon and Goodreads.com. Reviews by people I’ve never met. They liked it. They want more. I am back in the Nexus. I am feeling joy. Lots of joy. In The Secret and other “Law of Attraction” books and DVDs, this is what they mean when they tell you to get to the joy to attract what you desire. I’m there, Baby, I’m there.